If you are using a laptop, then there are possibilities that you will tackle the issues related to the load at some point, as you may encounter situations where you need to check for a problem, either with the jack charging your laptop to the motherboard or else with the AC adapter itself from your laptop. Although there would be rare chances of having problems on the motherboard, it is often observed that most load problems are derived from poor or faulty AC power, but before reaching a conclusion, it is best to check first. Check the AC power adapter with a multimeter which is a relatively simple procedure instead of checking the entire internal motherboard. • Your laptop does not load correctly at current time intervals. 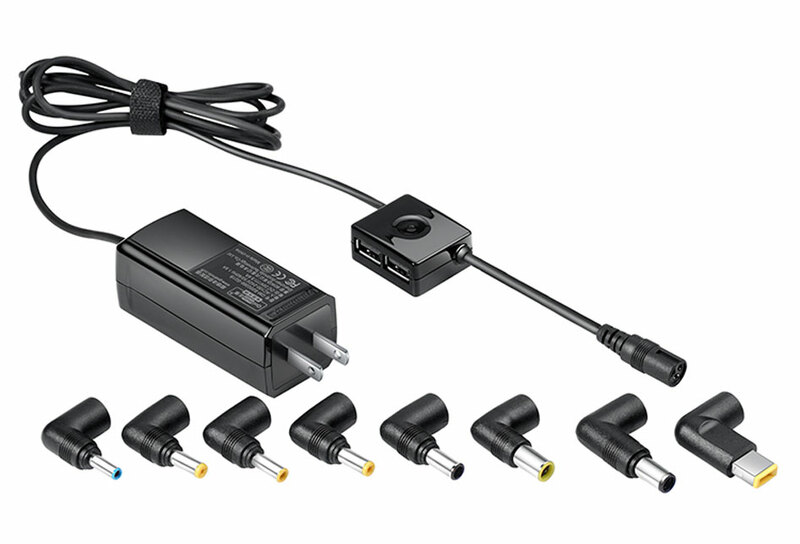 • Your laptops do not start directly with the power adapter alone. • A multimeter or a digital voltmeter. • AC power adapter you want to try. • The first thing to do is to see if there is electricity in the outlet. You can do this by connecting another electrical device to the same power outlet and see if the device works. • If it is okay, then check the input cable, i.e. the cable that draws electricity from the mains plug and sends it to the adapter. Disconnect the cable from the adapter and test the output end with the multimeter to see if the current is getting there. If you do not have a multimeter or do not know how to use one, it's better not to apply any other method to test the input cable and the cable is supposed to be fine. The Multimeter is a versatile tool that is widely used for testing equipment or electronic components, which with a little basic knowledge of electricity and related parts makes it an indispensable tool for everyone because it can save you a lot of money by checking manually of the defective component (and replacing it with a new one). Besides surprisingly, it is a very cheap and useful tool to have. • Connect the positive red (+) and Negative (-) red wire on the Meter. • Now check your portable AC adapter to see the voltage or current output values. • As the voltage coming out of the charger is purely DC so set the voltage level of the voltmeter to the DC side, which is usually to the left in the multimeter by a value of 20 V or higher if the portable charger has 19.5 volts. • Connect the AC power adapter for the laptops to the mains AC power and turn the power switch on. • After connecting the laptop's charger correctly connect the red probe or cable inside the charger point and the black probe to the outside of the charging point. • Compare the values obtained on your multimeter if it is around 19 to 20 volts; then your load is perfectly fine otherwise if there are no readings on your meter or readings fluctuate quickly, then it is a faulty AC adapter indication. Note - Voltage readings on the Meter depend on the output voltage provided by your laptop's charger so that you check the voltage values on your AC adapter and then compare it with the Meter readings as mentioned above. 1. Buy from the original Ac Adapter Manufacturer's store. Try to get the adapter that has the same item number as the original. 5. Always carry your laptop next to the stores - and check if the adapter plug you are planning to purchase fits into your laptop. 6. Buying a line adapter should be the last resort for two reasons. First, it takes a few days to get to you. Secondly, you cannot see if the adapter plug is appropriate on your laptop. Photos of adapters that are displayed on shopping websites are not always the exact model they are selling. I really hope this article was of use in your search for a new charger for your laptop. Please share if you have further advice in this regard. Also, feel free to ask if you have any questions. I will try to respond and help you.